A whole beach, all for you! 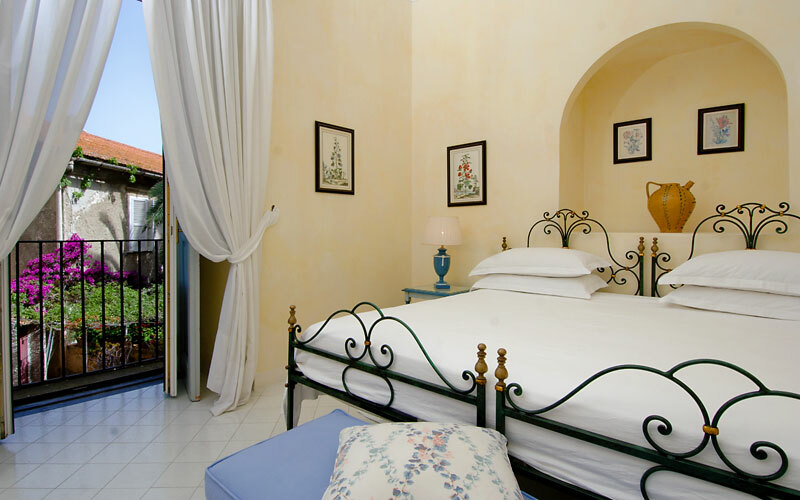 Castellabate, a small town to the South of Italy's legendary Amalfi Coast and UNESCO World Heritage Site since 1998, provides the enviable location for the 17th century Palazzo Belmonte. 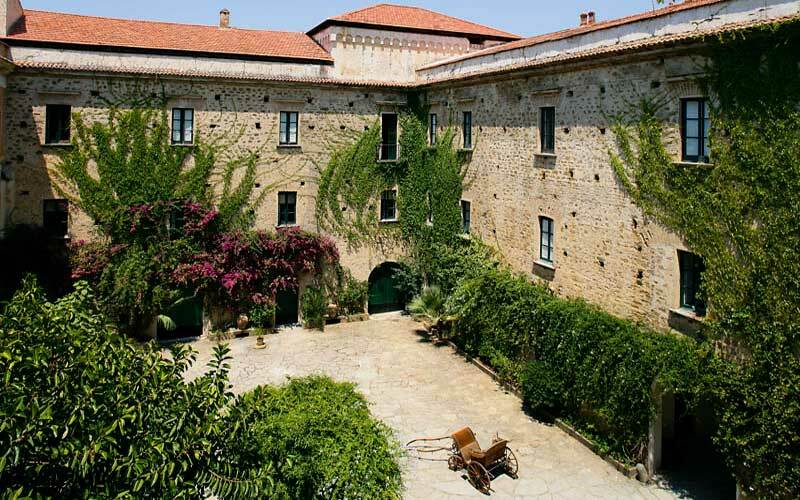 Set in splendid gardens and just moments away from the National Park of Cilento, Palazzo Belmonte is a quite unique historic residence, lying within meters of the sea. 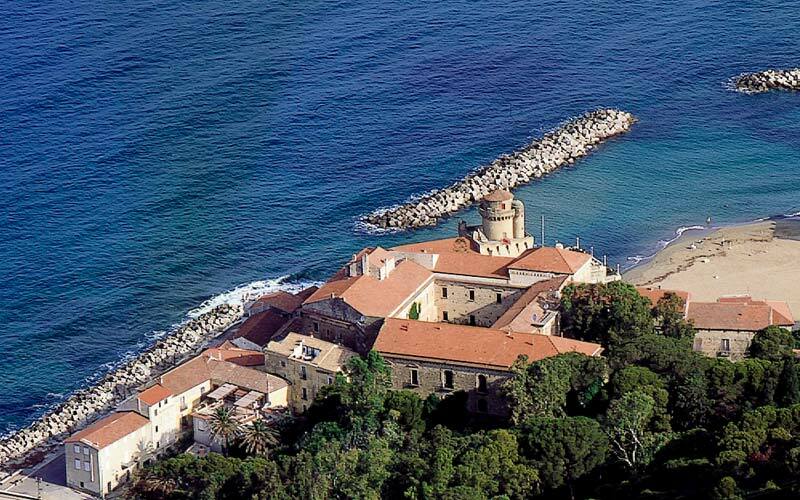 Originally built as the elegant hunting lodge of the Prince of Belmonte, whose descendents still live in a wing of the building, the palazzo has recently been transformed into a luxurious coastal retreat, which still conserves the atmosphere of a private dwelling. 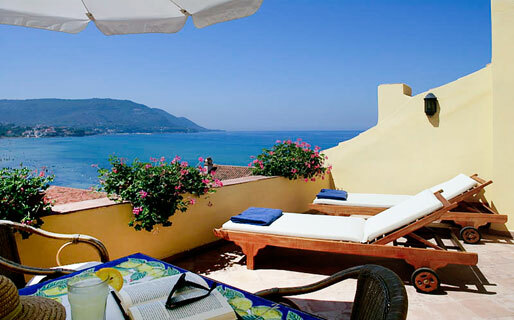 Guests can swim in the hotel's swimming pool or in the sea, this latter accessed by way of a pretty pathway through the pine trees, hibiscus, and bougainvilleas which leads directly to Palazzo Belmonte's private beach. Something special? Sail to the nearby island of Licosa, or join the local fishermen on a nocturnal fishing trip! Rooms fit for a ... prince! 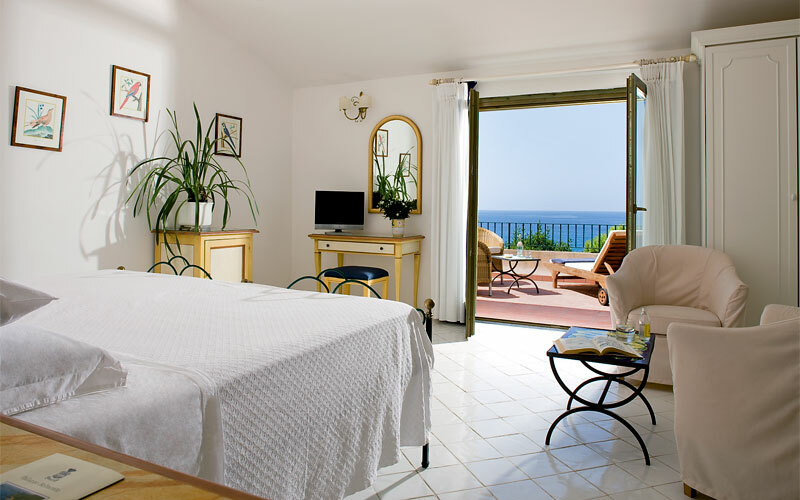 Peace and tranquillity reign supreme over an establishment which provides guest accommodation in sumptuous bedrooms, suites, and apartments, overlooking the sea, the garden, and the rooftops of the ancient village of Santa Maria di Castellabate. 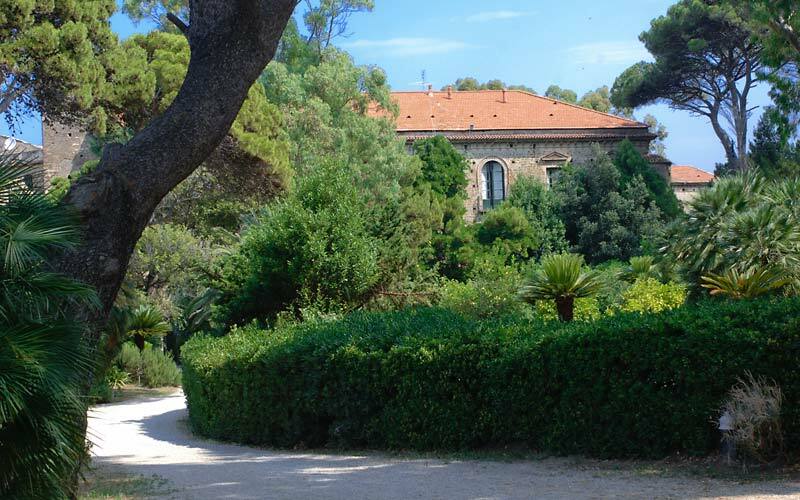 Rooms are located on the first and second floor of the main Palazzo, in the adjacent "Palazzina Edoardo" and in the dependence built in the same style and located in the park. In all, period furnishings combine with modern technology so as to offer the utmost in comfort. Guests dining at Palazzo Belmonte have the opportunity to savor the authentic taste of the Mediterranean, enjoying dishes prepared with the best of the region's produce. 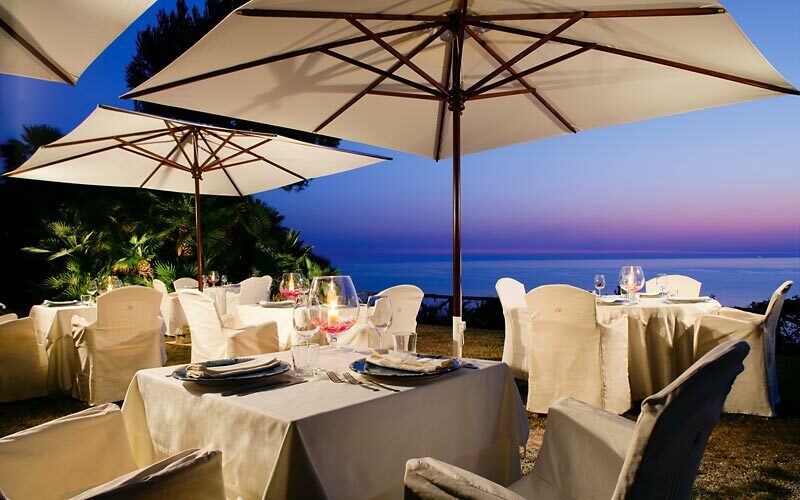 The delectable cuisine of the Cilento is served both on the poolside and on the "Terrazza Belvedere" which, with its breathtaking views of the Amalfi Coast and the island of Capri, provides the ideal setting for a romantic candle-lit dinner. 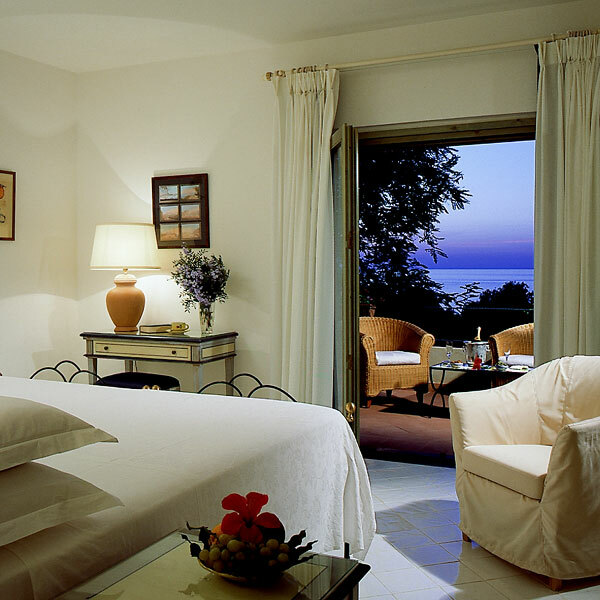 Beautifully located between Cilento and the Amalfi Coast, Palazzo Belmonte sits on the outskirts of the pretty seaside town of Santa Maria di Castellabate, on the stretch of coast which terminates in Punta Licosa. Palazzo Belmonte lies within easy driving distance of all the principal sites of interest in Italy's Campania region: the temples of Paestum, the Charterhouse of Padula, the picturesque towns and villages of the Amalfi Coast (Ravello, Amalfi, Positano, Atrani, Vietri sul Mare), Sorrento, Naples, the archeaological sites of Pompei and Herculaneum, and the Royal Palace of Caserta. The island of Capri is just a short boat ride away!